For this order my customer wanted to send his friend World of Warcraft Cupcakes for her birthday and it just so happened that the icons used in World of Warcraft fit beautifully onto a cupcake! 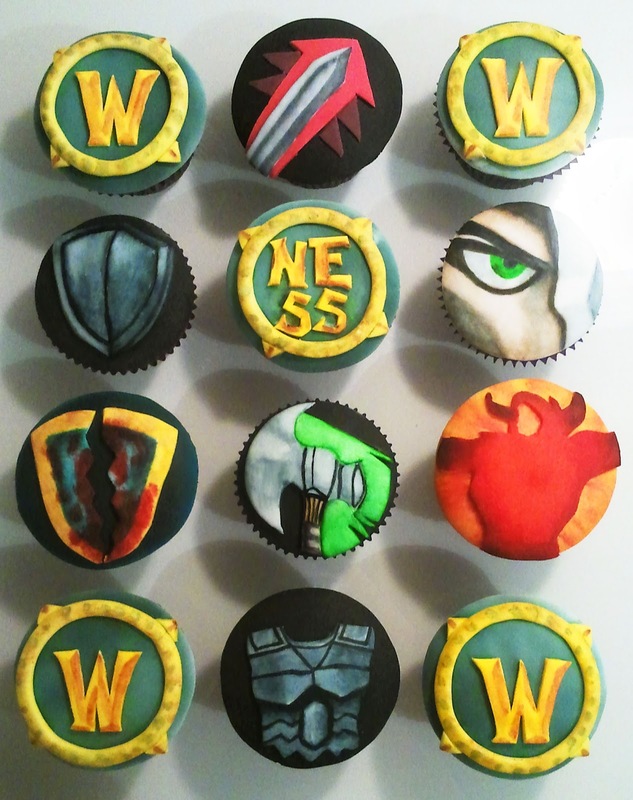 These cupcakes are decorated with fondant icing and then individually finished with a dash of hand painting. My favourite has to be the scary staring eye!! !